Platt delivers biblically sound messages that proclaim the Gospel. Sermons are saturated in scripture and uplift the work of Christ and highlight His mission for us as His church. It’s easy for us to assume that our sin is not that big of a deal if others don’t know about it or seem to be affected by it. We can go on with life as usual without considering the that God Himself knows everything about us––our motives, our thoughts, our words, and our actions. In this sermon from Joshua 7, David Platt urges us to consider the seriousness of our sin, even the sin that we think is hidden. If we want a deeper and fuller sense of God’s presence and blessing in our lives, then we should acknowledge our sins––even our hidden ones––and look to the One who can graciously forgive and restore us. Sometimes the pull of sin can feel so strong that we feel completely overwhelmed. We are weak, and Satan’s lies are deceptive and enticing. Gratefully, God has not left us to face sin and temptation on our own. In this sermon from Matthew 4:1–11, David Platt points us to the One who has overcome temptation on our behalf. Christ, our King, has defeated Satan and given us the victory over sin, death, and hell. Some Christians struggle with the motivation to pray because they don’t understand how their prayers fit with the purposes of a sovereign God. In this sermon from Exodus 32–34, David Platt helps us think through the mystery of prayer, as he points us to the character and purposes of God. We’ll see how God uses our prayers for the good of others, for the good of His people, and, ultimately, for His glory in the world. In the midst of sin and suffering, God hears the cries of His people and He rescues them. This same God also sends His people out for purposes that are, humanly speaking, impossible. In this message from Exodus 2:23–3:22, David Platt shows us that, despite our weaknesses, God empowers us by His Spirit to accomplish His purposes in the world. Although we often feel as if we’re without hope in our suffering, Scripture reminds us of God’s character and His promises. We can trust His sovereign care, His goodness, and His wisdom, even in the darkest seasons of life. In this sermon from Genesis 37–50, David Platt uses the life of Joseph to show us that God is not only with us in our sin and suffering but also that He uses it for our good and His glory. All of us have blind spots in our lives, that is, areas of sin that we don’t notice or that we tend to downplay. But these small and seemingly harmless blind spots can have disastrous results in terms of our relationship with God and with others. In this sermon from Genesis 28–35, David Platt shows us how these truths play out in the life of Jacob. Gratefully, God in His grace is able to open our eyes to our blind spots, forgive us of our sins, and enable us to walk in new obedience, and all this is based on what Christ has done for us. We rightly associate the Great Commission in Matthew 28 with making disciples, but what does making disciples have to do with caring for the unborn as well as others who are vulnerable or oppressed? In this message given at Evangelicals for Life, David Platt helps us see how the church’s makeup and mission make it specially designed to care for all who are made in God’s image. The God who gives us new life in Christ compels us to love our neighbors in every stage of life. If we’re honest, many of us find it difficult to pray and fast. Whether it’s our sense of self-sufficiency, the distractions of social media, busyness, or simply not knowing what the Bible teaches about prayer and fasting, we often struggle with these spiritual disciplines. In this sermon from Matthew 6:5–18, David Platt addresses the why and the how of prayer and fasting. This passage from Christ’s Sermon on the Mount reminds us to acknowledge our needs and to look forward to our ultimate reward––God Himself. It’s all too common for Christians and for churches to seek to know God and to make Him known apart from relying on His Spirit. However, relying external regulations and human abilities is empty and, ultimately, damning. In this sermon from 2 Corinthians 3:7–18, David Platt reminds us that God’s people should be desperate for the Spirit’s presence and power. Gratefully, in His grace, God freely gives His Spirit to those who put their trust in Jesus. It’s one thing to acknowledge that Christmas is about a child being born in Bethlehem, but it’s quite another to ask questions like, “Who was this child?” and “What is He like?” In this Advent sermon, David Platt identifies twenty biblical characteristics of Jesus based on the majestic picture we see in Revelation 1:9–20. The child born in Bethlehem is fully human, but He is also fully divine and the Sovereign Lord of all. Many Christians get nervous about the topic of giving. Some feel convicted about their materialism or lack of generosity, while others simply fear that they will be be guilted into giving more money. However, in this Advent sermon from 2 Corinthians 8–9, David Platt reminds us that our giving should be motivated by God’s grace. God’s gift of His own Son frees us to give for the glory of God and the good of others. It’s not enough to know that Jesus came; we also need to know why He came. It’s when we ask that question “why” that we hear the greatest news in all the world––Christ came to serve sinners. That’s the amazing truth in Mark 10:45, the text David Platt looks at in this Advent sermon. The One through whom all things were created took on flesh to serve and to save sinners like us. Apart from God’s grace, the Bible’s description of our spiritual condition is sobering. We live under the curse of God’s law, separated from Him and without hope. However, according to Galatians 3:13, Christ has taken on our curse at the cross and provided full redemption for those who trust in Him. In this message David Platt points to the heart of the gospel––Christ’s death for sinners. It’s one thing to know that you’re saved, but have you stopped to consider how and why God saved you? In this message from the Rethink Church + Rethink Mission conference, David Platt urges us to consider these questions based on Ezekiel 36:22–32. When we realize that our salvation is solely by God’s grace and aimed at God’s glory, it should cause us to rethink our role in the the mission of God. In a world of approximately 153 million orphans and vulnerable children, the church is uniquely called and equipped to care for these. Having received the love of God and having been adopted by grace into His family, we are now to reflect that love to others––particularly to those who are weak and vulnerable. Based on 1 John 3:1, David Platt encourages us to consider how God might be leading us to care for orphans, whether through adoption or through a variety of other ways. While the world has many ideas about what it means to truly live, Jesus offers us a path to life that seems counterintuitive––in order to live, you have to die. This truth from John 12:24–26 applies not only to the eternal life that comes to us through Christ’s death, but also to our own death—death to self, death to the world, and even death for the sake of the gospel. Drawing on a recent trip to South Korea, David Platt shares about how this truth was demonstrated in the twentieth century among Korean Christians, and he challenges us to consider how this truth should shape our lives as well. Scripture teaches us that supernatural love exists eternally in God. Therefore, if we claim to know God, then it only makes sense that our lives would be characterized by love. 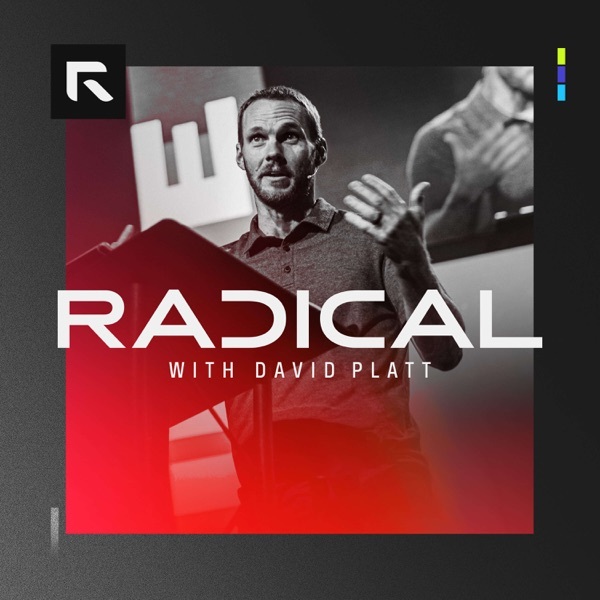 In this sermon from 1 John 4:7–5:5, David Platt points out the centrality of God’s love for the Christian life, particularly as that love has been demonstrated in the death of Christ. Now, for those who possess God’s Spirit, God’s love for us should cause us to respond in love for Him and for others. Whether we realize it or not, we are all involved in a spiritual war. Thankfully, God has not left us to our own strategies or abilities. In this sermon from 1 John 4:1–6, David Platt exhorts us to trust in the truths of who Christ is and what He has accomplished for our salvation as we engage in spiritual battle. By the power of God, our victory is assured. What will happen to me after I die? That’s a question that confronts everyone, regardless of their background or religious affiliation. Thankfully, the Bible is not silent on this eternally important question. In this sermon based on Revelation 21, David Platt explains the Bible’s teaching on what happens to us after we die. For the unbeliever, the sobering prospect of God’s righteous judgment awaits. But for the believer, there is an eternal hope that fuels our perseverance in the faith. Those who are in Christ will dwell with God forever. Many people claim to love God even though their lives demonstrate a love for the world. However, as 1 John 2:3–17 reminds us, these two loves cannot coexist. In this sermon, David Platt encourages us to examine our lives to see whether we genuinely belong to God. None of us will reach sinless perfection in this life, but a love for God will be evident in our desires and in our obedience. It can be difficult for anyone to admit that they’ve sinned. Even as Christians, we have a tendency to want to deny or make excuses for things we do wrong. Our sin may even lead to doubt whether we have eternal life. In this sermon from 1 John 1:5–2:6, David Platt reminds us that, instead of hiding or denying our sin before a holy God, Scripture invites us to confess it and to find the forgiveness that comes through the death of Christ. Walking in the light involves regularly receiving God’s grace and walking humbly in obedience to His commands. We often don’t understand the full significance of a story until we get to the end. That’s certainly true in the book of Ruth, as Ruth’s redemption is put in the larger framework of God’s redemptive purposes. In this message from Ruth 4, David Platt shows us how Ruth’s redemption looks forward to King David and the Redeemer who would come from David’s line. We’re reminded that, even in the most difficult times, God will accomplish His saving purposes. Our culture has a distorted picture of what it means to love someone. The focus is on my desires, needs, and happiness. Gratefully, this kind of love is nothing like the love of the Lord for His people. In this message from Ruth 3, David Platt highlights the indescribable love of God. This is a self-giving love that protects and provides for those in need, much like Boaz showed toward Ruth. Ultimately, though, God’s love was manifested fully and perfectly in the death of Christ, who gave His life in order to shelter us from the judgment we deserve. While the world often ignores or mistreats those who are weak and vulnerable, the Lord takes a different posture toward those in need. In this message from Ruth 2, David Platt points us to the God of Israel’s abundant mercy toward a needy Moabite woman named Ruth. Like Ruth, we too need God’s mercy. And, for those who have received that mercy in Jesus Christ, we should be extending mercy to the most vulnerable in our own communities and around the world. One of the most difficult aspects of suffering is the feeling that God is far from us. We assume that loneliness, cancer, the death of a loved one, and other forms of suffering are evidence of God’s indifference or anger. However, the book of Ruth reminds us of God’s faithful love in the midst of suffering. In this message from Ruth 1, David Platt encourages us to trust in the God who sovereignly works all things for the good of His people. There is no better news than the message of God’s grace in the gospel. Followers of Christ rightly celebrate this as our greatest joy and our life. However, it’s all too easy to ignore one of the ways we should respond to this good news––by making it known to all the peoples of the world. In this message from 2 Corinthians 4:13–18 at The Gospel Coalition 2013 Missions Conference, David Platt urges churches and followers of Christ to make the gospel known, even in the midst of difficulties and suffering. While earthly trials are temporary, God promises His people eternal joy. Whether due to cultural opposition, sins and weaknesses within the body of Christ, or the routine, daily struggles that come with following Christ, it’s easy to forget the amazing privilege God has given to the church. No other institution or organization can claim to have Christ as its head. In this message from Ephesians 1:22–23, David Platt highlights the significance of the church’s relationship to Christ and its role in proclaiming His salvation. As we commit to Christ and to one another in the context of the local church, we put the glory of Christ on display. There are many ways churches can serve their own members and their communities, but we cannot forget the global scope of Christ’s mission. As David Platt explains from Romans 15–16, the church should be about spreading God’s praise among all the peoples. Whether by praying, giving, or going, every member should play a role in getting the gospel to those who have never heard. It is the church’s privilege and responsibility to proclaim the good news to our neighbors and to the hardest-to-reach people groups on the planet. If God has all power and knowledge, even over the future, then do our prayers really matter? And if they do, then what difference should that make in our lives and in our churches? In this message from Exodus 32–33 at Together for the Gospel 2014, David Platt urges believers to depend fully on the God who is sovereign over all things. God uses the prayers of His people to accomplish His purposes in the world. Many Christians recognize that the church’s weekly gathering is important, but they seem to give little thought as to why. Why should we gather regularly for corporate worship, and what should our priorities be when we gather? In this sermon from John 4:1–26, David Platt identifies the kind of worship that pleases God. We gather as God’s people, not to be entertained or to listen to the thoughts of men, but rather to worship God in spirit and in truth. Without realizing it, many followers of Christ have had their views of government shaped by political debates, the media, and popular culture. They give little thought to Scripture’s teaching on this important topic. In this sermon from 1 Peter 2:13–17, David Platt helps us think through a biblical view of government as well as the Christian’s responsibility to governing authorities. While we should pray for and submit to earthly rulers, our ultimate allegiance is to a heavenly King. In order for a business, an organization, or a government to be effective, good leadership is essential. It’s no surprise, then, that bookstores are filled with advice on how to identify an effective leader. But what about the church––how do we know who is qualified to lead God’s people? In this message from 1 Timothy 3, David Platt points out the biblical qualifications for elders and deacons. In order to faithfully carry out its mission, the church should look to Scripture to find out what faithful leadership looks like. If we only listen to the competing voices in our culture, then we’re likely to ignore the most important realities in life––eternal realities. Where else will we hear about God, salvation, heaven, hell, and judgment, unless we are confronted with God’s Word on a weekly basis? In this sermon from Acts 20:25–38, David Platt urges pastors and all Christians to consider why God’s Word must be supreme in the church. Instead of focusing on the ideas of man, we desperately need to hear from the God who speaks to us in Scripture. Thankfully, when it comes to God’s design for the church and its mission, we’re not left to our own wisdom and creativity. God has graciously given us His Word, a perfect revelation of who He is and what He desires for His people. In this sermon from Acts 20:1–24, David Platt urges us to submit our lives and our churches to the authority of Scripture. God intends for His people to teach it, discuss it, obey it, visualize it, and then spread it to the ends of the earth. We don’t normally think of words like accountability and discipline in a positive light, but in Scripture God gives us these things for our good. God’s people are called to care for one another in the context of the church, both in terms of teaching and encouraging one another and, if necessary, calling one another to repent of sin. In this sermon David Platt points us to accountability and discipline as marks of a biblical church. Beginning with Galatians 6:1 and then moving to other parts of the New Testament, we’ll see why churches that seek to glorify God and be faithful to the Great Commission should be marked by a concern for the spiritual welfare of every member. What counts as Christian fellowship? A group Bible study? What about praying with someone? Is it considered fellowship if we’re simply eating with or spending time with other believers? These are important questions. As David Platt explains in this sermon, Scripture makes fellowship among God’s people a top priority. Based on Romans 12, we’ll see how God’s mercy in the gospel grounds the fellowship that should exist in the church. As a family of faith, the church should partner together for the glory of God and for the good of one another. Some truths are so important that they’re worth giving our lives for. The gospel certainly fits in this category, which is why the Reformers were willing to die to make sure that the good news of Christ was proclaimed faithfully according to God’s Word. In this message from Together for the Gospel 2016, David Platt urges us to learn from the example of the Reformers. Their deaths several centuries ago should give us an eternal perspective on how we live our lives today. Many churches rarely teach on the new covenant ordinances of baptism and the Lord’s Supper. The biggest concern is how to fit them in without disrupting the weekly service. It’s little wonder, then, that baptism is viewed as optional by many Christians while the Lord’s Supper is either misunderstood or ignored. In this sermon David Platt explains the meaning of these two ordinances and answers the following questions: Why should I be baptized? How should I be baptized? Who should be baptized? When should I be baptized? Who should participate in the Lord’s Supper? Where should we have the Lord’s Supper? When should we have the Lord’s Supper? According to Scripture, baptizing believers and regularly taking the Lord’s Supper are crucial aspects of what it means to be a New Testament church. Sadly, it’s not uncommon today for those who claim to be followers of Christ to show half-hearted commitment to Christ’s bride, the church. Like consumers, many Christians shop around for the best church “experience.” Others merely attend for an hour each week without any desire to meet needs among God’s people or to be a part of the church’s mission. There are even those who attempt to follow Christ apart from regularly gathering with God’s people. But as David Platt points out in this sermon from 1 Corinthians 12:12–27, God has not designed us to be spiritual lone rangers. We are fellow members of Christ’s body. For the sake of our own souls and for the sake of Christ’s mission, every follower of Christ should be committed to a local church. It’s one thing for someone to hear the gospel and reject it, but what about those who have never even heard of Jesus? Are they okay, spiritually speaking, as long as they live a good life and follow the light they’ve been given? What is their standing before God? In this sermon, David Platt addresses these eternally important questions based on Romans 15. Given the staggering number of people in the world with little or no access to the gospel, this issue is not merely theoretical. Getting the gospel to the unreached is urgent. Although we don’t always feel wealthy, evangelicals in America and in many parts of the West are some of the wealthiest people in world history. We have everything we need––food, clothes, houses, cars, jobs, education, savings accounts, vacations––and more. Yet, for many churches, God’s generosity toward us has not resulted in our generosity toward others. We have been content to stockpile God’s resources rather than use them for the spread of the gospel. In this message, David Platt highlights giving as one of twelve biblical traits of the church. Rather than listening to the culture, we should be listening to Scripture to see how God would have us use the resources He has entrusted to us. We are taught from a young age to “be safe” in whatever we do. This isn’t bad advice for the everyday tasks God has given us to do, but when it comes to following Jesus, we can wrongly assume that God would never call us to something costly or dangerous. Our time, effort, and resources are spent on maximizing our comfort. However, Jesus said that following Him would mean forsaking everything. And while we aren’t to seek out suffering, we know that proclaiming the gospel in many areas of the world requires taking risks. In this sermon from Philippians 1:12–30, David Platt reminds us not to let comfort become an idol, but instead to pursue faithfulness to Christ, even if it costs us our lives. Being with Christ is infinitely better than any temporary security this world offers. We live in a day where people are made uncomfortable by any claim of truth. Jesus taught that He Himself was “The Truth” and the only way to God. As He breathed His last on the cross, it seemed like He would be written off as a fraud. Easter Sunday serves as a reminder that God cashes in on all of His promises. In this sermon, David Platt encourages us from John 20 with testimonies to the resurrection. Through Christ being raised from the dead, our eyes have been opened to the truth and we now live in the hope of the resurrection, trusting that we will one day be with Him forever. Our culture questions the very idea of truth. The fact that anyone would claim to know something, particularly as it relates to eternity, can sound arrogant. Yet in John 14:6 Jesus claims to be the “the way, and the truth and the life.” But what if we are accountable to God? And what if Jesus is who He says He is? If He actually died on the cross and rose from the dead, then His claim to be the way to God is not arrogant but the best news in the world. In this Good Friday message, David Platt urges us to consider and respond to the claims of Jesus Christ. In John 17, we find what people have often called the “High Priestly Prayer” as Jesus prayed to the Father before His betrayal and crucifixion. What does this prayer have to do with us? In this sermon, David Platt gives three exhortations from John 17 concerning how we can leverage our lives in obedience to the Great Commission. Discipleship is a common word used among Christians today, but it often is used without clarity. Why must the church be committed to helping Christians live every day in light of the final day? In this sermon, David Platt looks to God’s Word in order to explain what biblical discipleship is and how it is vital for the church. What makes a church a church? After all, many religious groups meet regularly to talk about their common values and their common mission. Is there something unique about the gathering of Christ’s followers? In this sermon on Matthew 16:13–28, David Platt looks at the importance of biblical evangelism. We’ll see how the church’s identity is tied to believing and proclaiming the gospel. Different pastors and church leaders in our day continue to offer their opinions on what the church should be about. As a result, churches are often left wondering whose preferences to follow and whose authority to listen to. In this sermon from 2 Timothy 3:10–4:8, David Platt points us away from the preferences of man to the church’s ultimate authority––God speaking through His Word. In this first of twelve traits of a biblical church, Biblical Preaching and Teaching, we’ll see why the faithful proclamation of Scripture shapes everything about the church’s life and mission. A pastor who believes that God is sovereign over all things will lead his people to be a death defying missional people. Our sovereign God holds the destiny of the world in the palm of his hand. Therefore, his shepherds should lead their people to pray confidently, give sacrificially, go intentionally and die willingly for the spread of the gospel message to those who have never heard. The Church's Goal: ". . . Among All Nations"
It’s so easy for churches to become self-focused. Our own comforts and concerns slowly begin to swallow up our time, energy, and resources. But Christ’s command to make disciples of all nations should compel us to move out with the gospel to a world in need. This is the church’s mission. In this third sermon in a three-part series on Matthew 28:16–30, David Platt encourages the church to make disciples and to multiply churches, both in our own neighborhoods and among unreached peoples across the globe. The Church's Mission: "By Making Disciples and Multiplying Churches . . ."
There is no shortage of books, conferences, and consultants in our day offering to help churches find their mission. It’s as if God’s people have been left in the dark as to what we should be about. But what if Jesus has already given us our marching orders? In this sermon, David Platt directs our attention to Christ’s words in Matthew 28:16–20 in order to help us identify the church’s mission. The Church's Vision: "We Glorify God . . ."
Churches often put their time, resources, and efforts into many doing good things, all the while failing to ask what their primary focus should be. Thankfully, God hasn’t left us in the dark when it comes to the church’s mission. In this sermon from Matthew 28:16–20, David Platt begins a three-part sermon series unpacking the vision, mission, and goal of the church. In this sermon we’ll see why glorifying God has to be the starting point for all that we do. The topics of race and social justice often elicit strong emotions, which is why many pastors and churches tend to stay silent on these issues. However, David Platt argues that these are not topics the church can ignore. Our worship of God is integrally connected to the way we treat our neighbor, including those who don’t look like us. Based on Amos 5:21–24, this sermon exhorts us to consider our role in perpetuating racism, often without realizing it. Every follower of Christ should pray and work for justice in the culture around us. If you want to grow a church and see the gospel spread, there is no shortage of strategies being offered today. Sadly, few of these strategies revolve around the power and authority of God’s Word. In today’s sermon from 2 Timothy, David Platt challenges us to rely on God’s Word to do God’s work. Not only do we need this life-changing Word in our own lives and churches, but also—there’s a world out there that has no hope without it. There’s nothing greater, nothing more significant we can share with others than the message of the gospel. And yet, if we’re honest, we often fail to speak about this good news to unbelievers God has put in our lives. We’re silent about the hope of eternal life because we’re worried about what others will think. In this sermon based on Acts 18:1–17, David Platt encourages us to share the gospel without fear. Even though opposition is inevitable, God’s power and His mission are unstoppable. Keeping your word seems to matter very little in our culture. Politicians unashamedly break promises, the covenant of marriage is trivialized, and, if we’re honest, each of us is tempted in a thousand little ways to distort the truth in our own lives. But, according to Psalm 98, we serve a God who is always faithful. In this sermon, David Platt encourages us to behold the God who shows steadfast love to His undeserving people. Such faithfulness should continually elicit our praise. Many followers of Christ cringe when the topic of giving comes up. Even when we do give, we’re often motivated more by guilt than gratitude. But this is not how Scripture motivates us to give. In this sermon on Psalm 86, David Platt points us to several biblical motives for our giving. We give in response to God’s infinite grace so that others might see His glory. Sadly, some professing Christians find very little joy in their relationship with God. Trusting and obeying Him is a duty, not a delight. However, Psalm 63 reminds us that God’s great love ought to draw out deep affection from God’s people. In this sermon David Platt urges us to set aside lukewarm thoughts toward God and instead pursue Him as our all-consuming passion. The scale of the current refugee crisis is massive, and it can seem like events are spinning out of control. But what if God is using these tragedies to accomplish His global purposes? In this sermon on Acts 17:26–27, David Platt encourages us to view the movements of refugees around the world through the lens of God’s sovereignty and His redemptive purposes. The nations may be closer than you think. Christians use many different strategies to find an answer to that all-important question, “What is God’s will for my life?” But what if God’s will isn’t lost? And what if He actually works in us so that we might walk in His will? David Platt encourages us to align our lives with God’s larger purposes in the world in this sermon from Acts 16. The claim that Jesus is the only Savior, that anyone who doesn’t believe in Him will face God’s eternal judgment, sounds narrow-minded and arrogant to most people. But if Jesus is who He says He is, and if He has died, risen, and been raised to God’s right hand as Lord of all, then proclaiming the gospel is the most loving thing we can do. This gospel was the reason for Paul’s mission in Acts 13:13–52, and, as David Platt reminds us in this sermon, it is the very message that should define our lives and the church’s mission today. No one wants to be described as jealous. In fact, Scripture warns us against an ungrateful heart that longs for what God has not given us. But, according to Psalm 79, jealousy is a good thing if we’re talking about God’s jealousy. Unlike us, God is jealous for His own glory, and this is good news for His people. In this sermon, David Platt helps us see why God’s jealousy should lead the believer to greater comfort, hope, and worship. It’s not popular to talk about the wrath of God. Even in Christian circles, we want a God who is like us and who makes us feel good about ourselves. However, if God is holy and just––as Scripture teaches––then it is only reasonable that He would punish sin and judge those who rebel against Him. In this sermon from Psalm 78, David Platt reminds us that God’s wrath is one of His many perfections. The good news of the gospel is that God has sent His own Son to take the wrath that we deserve by dying on the cross. Our culture is obsessed with temporal things. We want instant gratification. We don’t want to be bothered with the future, much less eternity. However, as David Platt reminds us from Psalm 90, we serve a God who is eternal. His perfections––His justice, His love, His wrath, His faithfulness, His grace––had no beginning, and they will have no end. These biblical realities should help us live for that which truly matters. Sin is more serious than we ever realized, but God’s grace is greater than we ever imagined. Our God is unchanging, and this is good news for those who have trusted in His Son. Can one local church be used for the spread of the gospel among all nations? This is precisely what God did with the church at Antioch in Acts 13:1–12. In this message, David Platt points out five characteristics of the church at Antioch that should inform the mission of every local church. The spread of the gospel by God’s people is ultimately dependent on His power. Many Christians in our culture enjoy the blessings of God without ever asking why they have been blessed. Could it be that God has blessed us, both spiritually and physically, for a greater purpose than our own comfort? Based on Psalm 67, David Platt helps us connect God’s blessings with His mission in the world, a theme that runs from Genesis to Revelation. We have a dangerous tendency to treat God lightly in worship, preferring instead various activities and gimmicks that hold our attention. However, as Psalm 95 reminds us, our God is worthy of our worship and our deepest reverence. In this message David Platt encourages us to let God’s character and greatness shape our worship. We should respond to God with humility, joy, gratefulness, trust, and obedience. Churches need leaders who are faithful to the gospel, but we can’t forget who the church’s actual leader is––Jesus Christ. When we pause to reflect on who Jesus is, then it only makes sense that we would want to submit to His plan and trust in His power to carry out the church’s mission. Based on Matthew 4:18–22, David Platt encourages the church to look to Christ and His gospel as we seek to make disciples of all nations. It’s easy to get so caught up in our own little worlds that we miss the urgent needs right around us, not to mention the spiritual and physical needs of billions around the world. But have you considered what God, in His sovereignty, might have for His church today as He accomplishes His purposes in the world? Drawing on Esther 4:13–17, David Platt urges the church to seize the opportunities God has provided for us as we make His gospel known around the world. It is deceptively easy for us to talk about God, sing to God, and even claim to be serving God, all while ignoring His Word. In this new message from Isaiah 66 and Romans 8, David Platt reminds us that God’s Word should cause us to stand in awe. We ought to respond to Scripture by submitting to and delighting in the One who is sovereign over us. With areas of the southern United States facing potentially one of the worst storms of our generation head-on, that following the severe flooding in Texas caused by Hurricane Harvey… and even beyond the U.S., the strongest earthquake in a century hitting Mexico this week, severe flooding in India affecting 40 million people, hundreds of thousands of men, women, and children fleeing Myanmar, North Korea testing missiles and threatening nuclear war—and all this in addition to personal struggles and afflictions in our personal lives. With all that’s going on in the world today, what exactly does God’s Word bring to bear on our turbulent world? It can be tempting to try and live your life in your own strength—devoid of God’s Spirit. However, the Bible urges you to not walk into the days ahead with dependence upon yourself, but rather with desperation for God’s Spirit. That’s what prayer is all about, and that’s what today’s sermon from Exodus 33 is all about. "If you confess with your mouth that Jesus is Lord and believe in your heart that God raised him from the dead, you will be saved (Romans 10:9).” The first step toward following God is to trust in the truth of Jesus. In today’s new sermon, David Platt identifies four truths that ought to be the natural outworking of a believer’s life… from the very outset of trusting in Jesus, to the day-in and day-out of facing life without fear. All followers of Christ will face the storms of life. However, we have anchors in these storms, truths on which we can bank our lives and our eternities. Based on Acts 27 (and several other passages), David Platt identifies five anchors for the believer’s soul in the midst of life’s trials. The God who is sovereign over all things cares for us deeply and is working all things according to His good purposes. The object of our faith matters more than the measure or circumstances of our faith. While elders are servant leaders in the church, the Bible identifies deacons as leading servants in the church. According to Acts 6:1–7 and 1 Timothy 3:8–13, deacons have three responsibilities: meet needs according to the Word, support the ministry of the Word, and unify the body around the Word. This kind of ministry may not be flashy, or even visible, but it is crucial to the church’s health and growth. A biblical model of church leadership is critical for a church that aims to display the glory of Christ. In this sermon, David Platt turn our attention to Acts 20:17–31 as a helpful guide for elders, or pastors. As servant leaders, these men ought to lead under the authority of Christ, care for the body of christ, teach the Word of Christ, and model the character of Christ. Churches should appoint and follow such men. Why a Radical Together Podcast?